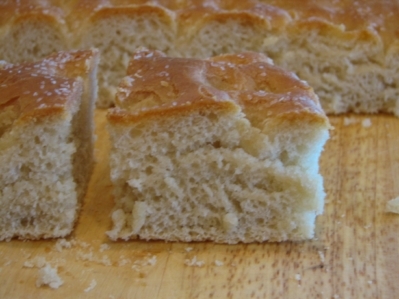 There is nothing quite like the smell and taste of homemade bread. I grew up with a mom that always made homemade bread. In fact, we rarely had store bought bread. Store bought bread was a treat in our house. Once I got married and really started to enjoy cooking and baking, I developed a love of bread making. I have tried many recipes over the years always looking for the next really good recipe. 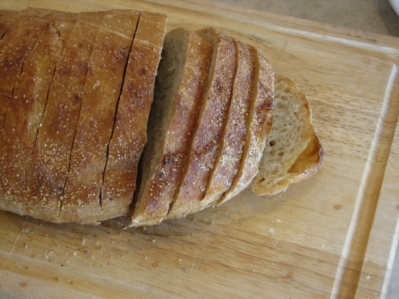 I can no longer eat regular bread, but I have many bread recipe in my archives that I used to make all the time. They are family favorites and recipes that I love. Today I thought I would highlight a few of my favorite bread recipes and bread posts from the archives. 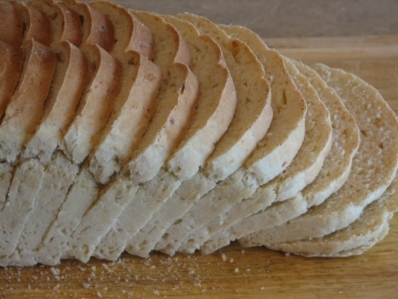 Tips for bread making would be great for those new to making bread. No Knead Bread is very easy. Banana Yeast Bread is really good, but it is even better served the next day as toast for breakfast. And Italian Cheese Bread was always a favorite with pasta dishes. @skye, We always loved friendship bread. It is so good. 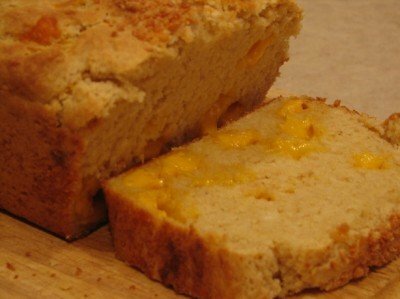 I love your cheese bread recipe! You have got to let us in on the secret to cutting your slices so thin and even, though – the pictures of no-knead bread and italian cheese bread make me jealous. @Catherine, I am so glad you like that cheese bread. We always loved it. The best tip I can give for nice slices is to let the bread cool. As hard as that is, it really helps it cut better and give it better texture. @Cheri, So many of my readers love those rolls because of how easy and good they are. I am sure they will be very good for Easter dinner. I made the cheese bread yesterday. I had been looking at a herbed cheese bread as well, so I just went ahead and added the spices to your recipe…(leaving out the cayenne…and adding 1 tsp basil, and 1/2 tsp of oregano and thyme) Delicious! I made two loaves and a nice chicken salad We had our’s for supper, and dropped one of for a friend who just had surgery. Thanks or the recipe! @Jen, The spices sound like they would be very good in the cheese bread. Thank you for sharing your version. I am so glad that you enjoyed it. 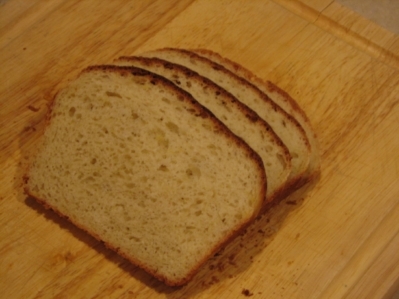 I got a recipe for light and fluffy gluten free bread. Was wondering will or could it be done in a bread maker with the gluten free setting .and if so is there any modifications needed.